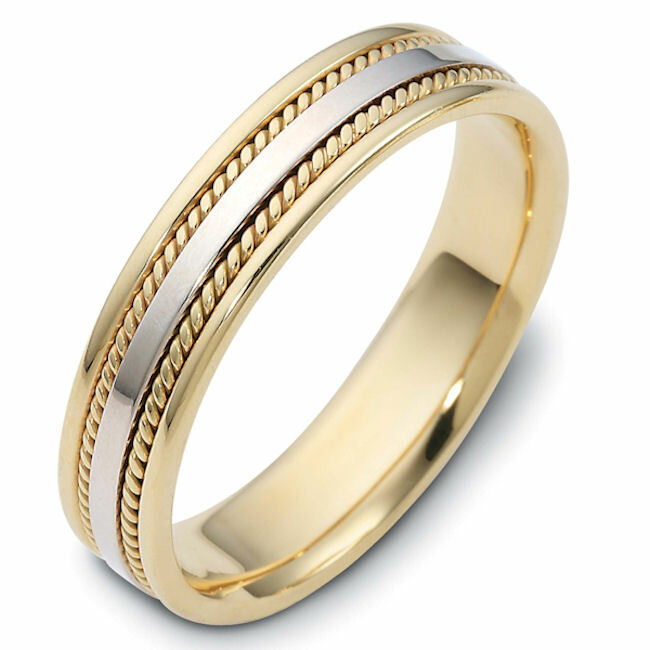 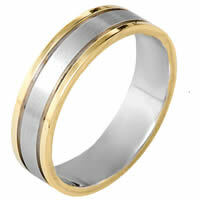 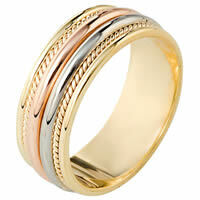 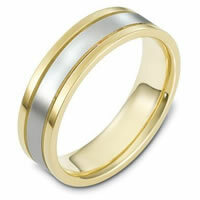 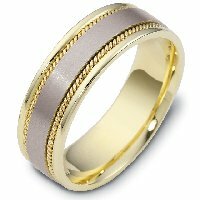 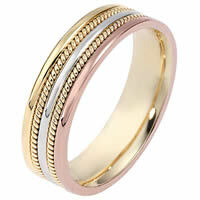 14 k two-tone hand made comfort fit, 5.0 mm wide wedding band. 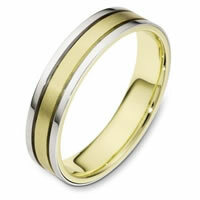 Our initial enquiry resulted in a sizing kit arriving by mail. 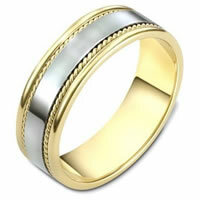 From there selecting and ordering the ring was easy and it arrived in just 8 days from when I ordered it. 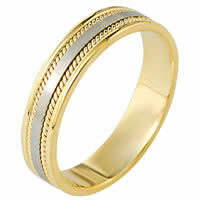 So much easier than shopping in retail stores and better value too.